/ Thrifty Scissor Practice – for ages 2 and up! Thrifty Scissor Practice – for ages 2 and up! To be able to use scissors well takes lots of practice! 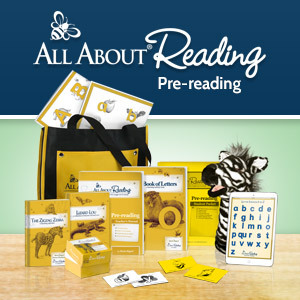 Starting at around age 2, you can have your child start to practice. We always start off with the child having their fingers in the scissor holes while Mommy actually does the opening and closing of the blades. 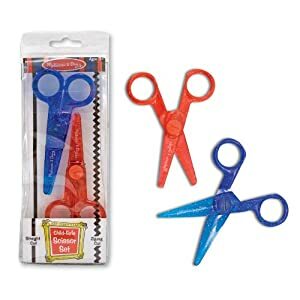 I say, “Open, close, open, close,” as I help them to open and close the scissors while cutting. These are our favorite starter scissors. They come with a regular pair and a zig zag pair. We just use the regular. After a couple of days of this kind of modeling-practice, the child can probably start to squeeze the scissors when you say, “Close!” but you will still have to do the opening part. Then, a little while later, your child will be able to do the open AND the close parts, but will probably still need help with positioning the paper to be able to cut straight, as well as needing help with knowing where to start and stop. Developing good control while cutting takes time. Also, the amount of cutting that a child can do increases as their skill level does. I wouldn’t expect them to be able to do more than 1-2 short cutting activities at the beginning. I always save old magazines and catalogs for various projects, and this is one of them. I go through and pull out pages that have large shapes on them that can be cut out. I pick shapes that correspond with the child’s skill level — Luke (4yo) can do curves and odd shapes, while Lilah (2.5yo) is just becoming independent with scissors and can do straight lines pretty well. To make it easier for them to know where to cut, I outline the shapes with thick permanent marker. For this particular cutting project, I used a Parenting magazine and outlined baby and kid shapes for L&L to cut out. Here are all L&L’s cut-out people. What are your child’s favorite scissor practice activities? I draw straight lines on green construction paper. After they cut it, I save the paper and it’s our Easter grass for our bunny baskets. Great idea. I’m doing that this week! We need scissor practice. Does anyone know a song about how to hold scissors? Thumb in small hole, small hole on top, etc?